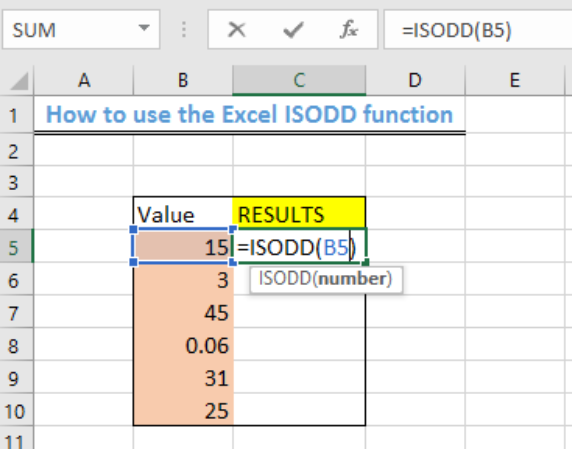 We can use the Excel ISODD function to test whether an imputed numerical value is an odd number. This article will walk through the simple steps. We will structure our table in the pattern as shown in figure 2. 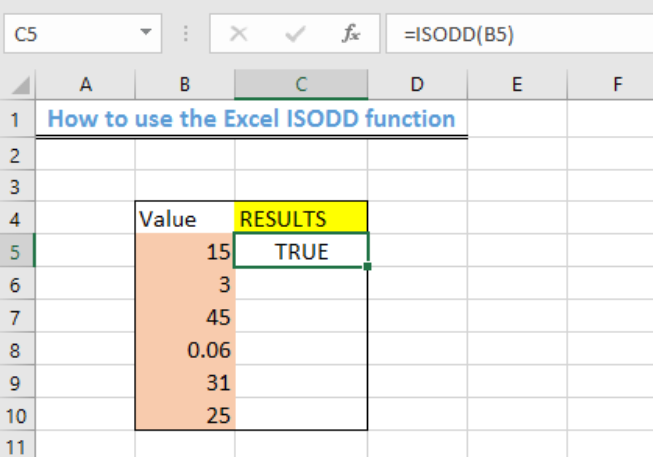 We want to check if each number under the “value” column is an odd number. 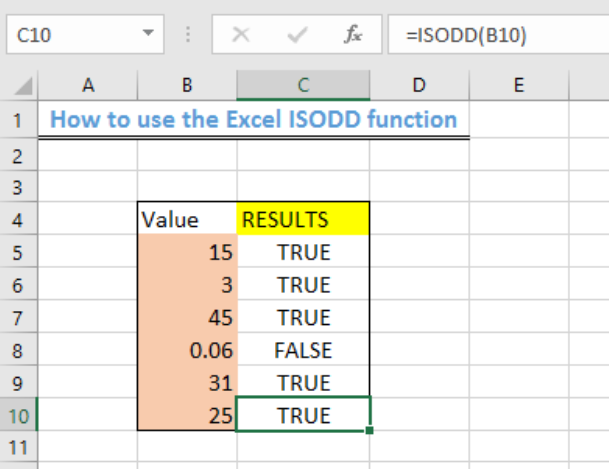 We will use the fill handle to copy the formula into the remaining cells to get the result. 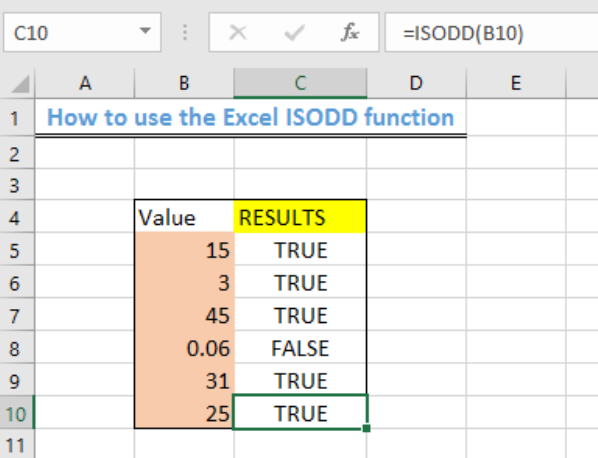 The ISODD function checks if the specified value or cell reference has an ODD number and returns the result with a TRUE or FALSE. 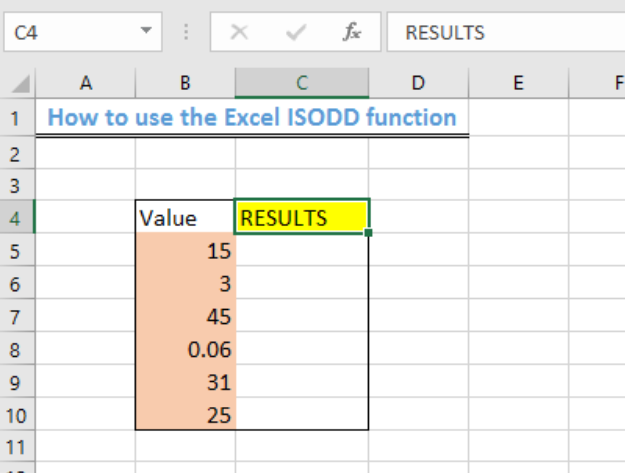 If there is no numeric value in the cell, then the ISODD function will return the #VALUE error.